Please join us at the Bolinas Community Center this Sunday, November 25th 1:30-3:30 for all things seedy, home grown, and you! The Maya Ark Seed Project along with the S.P.R.OUT Seed Library invite you to a fall seed exchange, film, and seed saving mentorship gathering this holiday weekend in Downtown Bolinas. Come for the beauty, get seeds and see some are art in town with open studios this weekend! 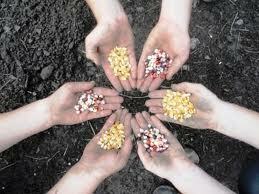 We have the ability to mentor each other and build a living seed resource here in West Marin. and as always you don’t have to bring to receive- all are welcome. The Seed Library is launching a mentorship program to boost the gardens that are saving seed- if you are interested in saving seed please come or email- sproutreach@gmail.com if you can not make it. we would love to support you in growing out one variety for seed this coming season.